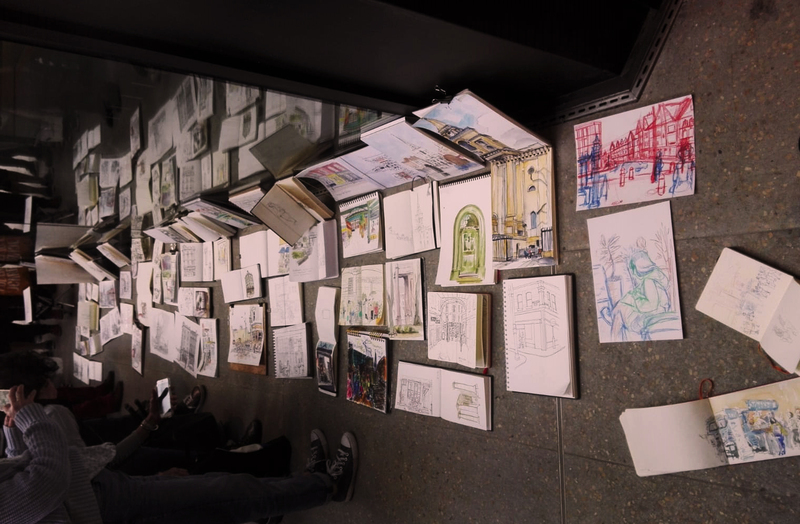 Last month’s Usk-L meeting took place in Spitalfields market, in Shoreditch. Maybe due to the nice weather or because it was a lot easier to get there than to Hendon, the attendance was way higher this time. Para la última quedada de London Urban Sketchers nos fuimos a dibujar al mercado de Spitalfields, en Shoreditch. Quizás porque hacía muy buen tiempo o porque estaba bastante más cerca que Hendon, la asistencia fue mucho mayor que la vez anterior. I went first for the obvious subject there: the Anglican Christ Church. 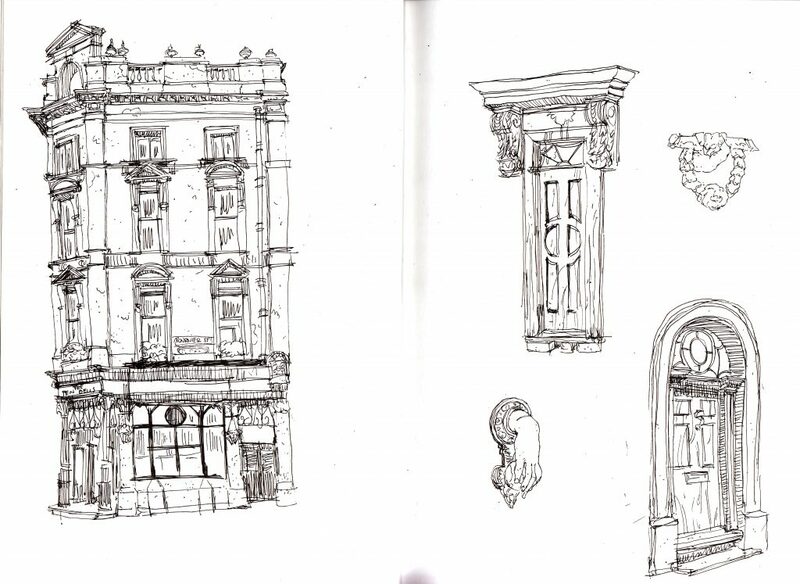 I was very impressed by the doors and knockers of the area, as you can see, so I spent the time mostly between Fournier St., Wilkes St. and Princelet St., just next to Brick Lane. After lunch (it was hard to decide, the market has some great places), I sat on the pavement in front of the Ten Bells pub and I sketched the building; fun (well… sort of) fact: it is said that this is the pub where Jack the Ripper chose his victims. Decidí empezar por la iglesia anglicana Christ Church, justo al lado del mercado. 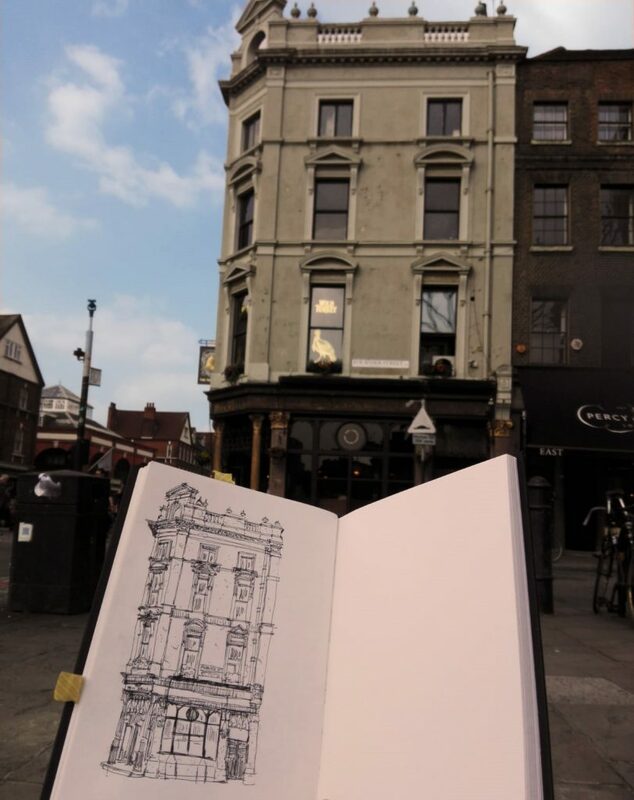 Como podéis ver, me impresionaron mucho las puertas y llamadores de la zona así que pasé casi toda la mañana entre Fournier St., Wilkes St. y Princelet St., que desemboca en Brick Lane. Después de comer (no fue fácil elegir, en el mercado todo tiene una pinta buenísima), me senté en la acera y dibujé el pub Ten Bells, famoso por ser en el que Jack el Destripador pudo haber escogido a sus víctimas. 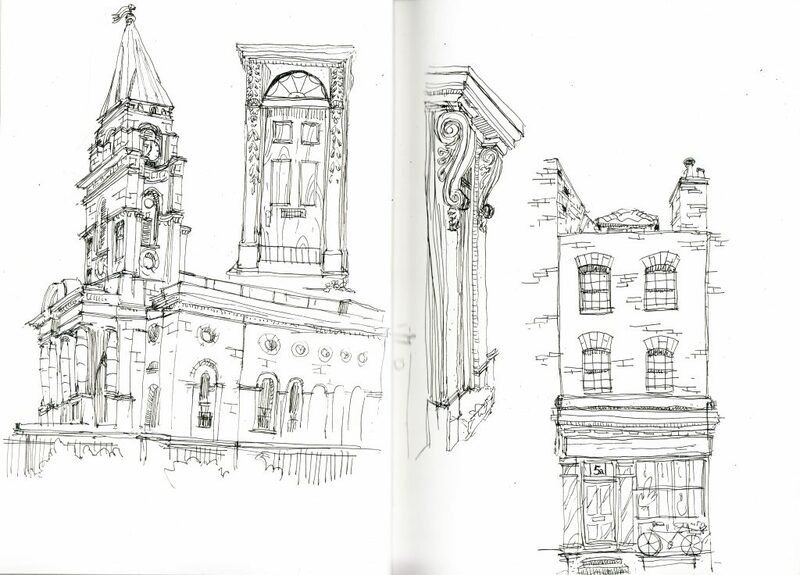 I’ve been many times to Shoreditch, to drop someone off in Liverpool Street Station (the main connection with Stansted Airport) or to eat my weight in dumplings in Brick Lane, but I hadn’t paid attention to some details until I drew them; this is what I like the most about urban sketching: you can not only discover some parts of the city, but also rediscover them. He ido muchas veces a Shoreditch, ya sea para acompañar a alguien a Liverpool Street Station (la conexión principal con el aeropuerto de Stansted) o para comer dumplings en Brick Lane, pero había muchos detalles en los que no había reparado; para mí, esto es lo mejor de dibujar in situ en general y de las quedadas de urban sketchers en particular: no sólo descubres algunas partes de la ciudad, sino que re-descubres otras.